“I used to hate Orlando, where I’ve lived for 18 of my 22 years. But when I discovered Brandon Stanton’s blog Humans of New York — and particularly when I read his book — I realized I didn’t like the place where I was living because I didn’t really know the people who were living in it. I was so inspired that I searched the Internet and found that similar pages had popped up all over the world. I grabbed my camera and started walking around Lake Eola in downtown Orlando, talking with people and taking their photos. 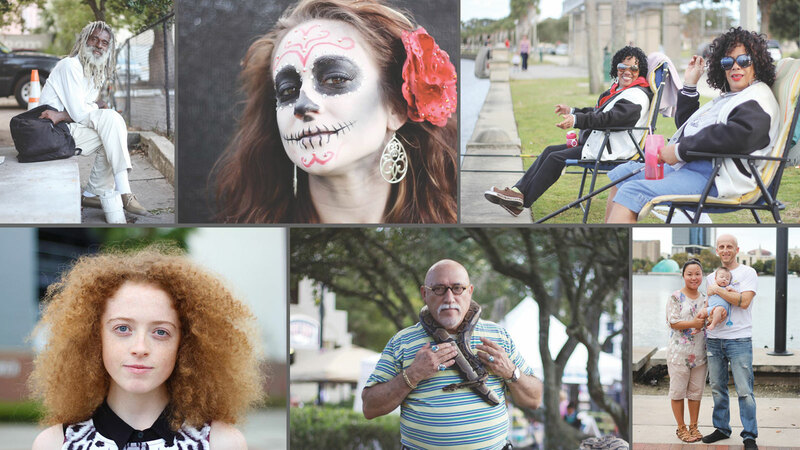 That’s how Faces of Orlando began in October 2013. What I’ve discovered from the hundreds of people who I’ve talked to is that everyone has a story to tell, each story is unique and, ultimately, humans are interesting.” — Grace Howard.